Here’s another gem. 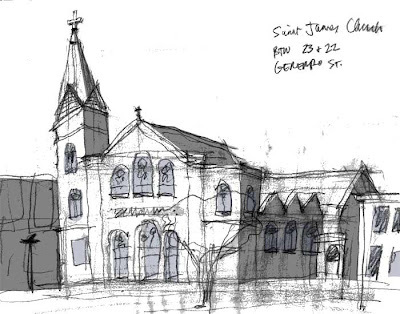 Sketched across the street from St. James Church on 23rd and Gerrero. Then, Photoshop enhanced when I got home.